Dublin, 29th October 2018 Comedian and actor, Brendan O’Carroll, and his wife and co-star, Jenny Gibney, are calling on the public to ‘Have a Laugh for Loneliness’ in aid of ALONE, the charity that supports older people to age at home. The campaign encourages people to host social events for family, friends and neighbours, to raise funds to support ALONE’s services. A major element of ALONE’s support is the charity’s befriending service. This pairs older people, who may be experiencing loneliness or isolation, with trained volunteers who can offer help with practical tasks and most importantly, offer friendship. 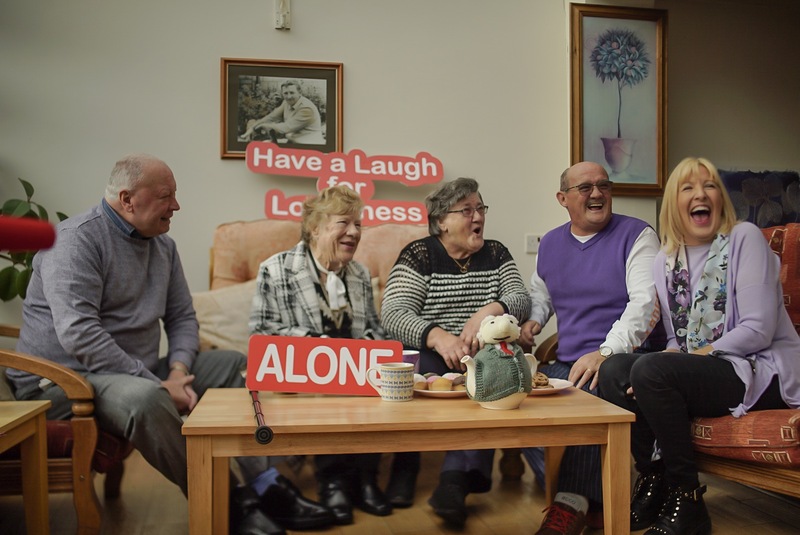 As part of the ‘Have a Laugh for Loneliness’ initiative, ALONE is encouraging members of the public to host social events and to have a laugh to raise funds for these crucial services while combating loneliness in their own community. This week, the charity published its 2017 Annual Report which cited a 100% increase in the number of older people using ALONE’s services since 2016. In comparison, ALONE’s donations increased by just 15% during this time. For more information on ‘Have a Laugh for Loneliness’ please visit www.alone.ie. Doubled the number of people using ALONE services since 2016.